Her [Adornetto's] dialogue feels fresh and real, pulled from the mouths of her peers without any cultural markers necessary to prove relevance. . . . If it were not for young adult readers like her, the Y.A. boom never would have happened and publishing would be much gloomier. "The New York Times Book Review" These angels are the optimistic, hope-filled cousins of the tormented fallen angels in other paranormal romances. . . . Xavier is gorgeous, honorable and so protective of Bethany that you ll be crushing on him after the first chapter. "Justine magazine" A compelling novel of good and evil that will find an audience among girls who can't get enough of otherworldly characters and situations and heart-wrenching romance. "School Library Journal" The 17-year-old author's angel mythology is solid . . . there never seem to be enough lengthy tomes to satisfy the legions of paranormal-romance fans, and this first title of a planned trilogy fits the bill. "Booklist" This is the first book of a trilogy. The next installment is "Hades," due in the Fall of 2011. Look for it. Doubtless it will be another winner. "New York Journal of Books" "Halo" was absolutely brilliant! I am in complete love with "Halo"! The characters are so complex and the plot is a rollercoaster you will not want to get off of. The writing is so intricate yet it is read with an ease that one can truly appreciate. Adornetto has raw talent and I can't wait for the next novel in the series to come out! "Moonlight Book Reviews" "Halo" is addictive, passionate and coarse with vibrancy. Alexandra Adornetto has drawn a beautiful start to what I can only imagine will be an epic trilogy. "Book Crazy" I was swept away when I was reading "Halo." The setting is beautiful and the characters quickly captured my heart. "YA Book Addict" It's one of those stories you want to live in... feel what they feel... all of that. It's just a beautifully written story. "The Ninja Librarian" A wonderful novel of the old-fashioned style that will have youngsters asking for more. "Reading Time review for The Shadow Thief" Adornetto writes vividly As well as being humorous, the writing is often sophisticated original and sparkling. "Viewpoint for The Shadow Thief" an exceptional debut novel, it hurtles along in leaps and bounds, and sparkles with originality. Alexandra Adornetto's flare for the English language is fast-paced and refreshing, and her story tell recalls that of J.M. Barrie's "Peter Pan." "Invernell Times (Invernell, AU) for The Shadow Thief" Fans of Harry Potter and Lemony Snicket's Series of Unfortunate Events will delight in a new Australian series, The Strangest Adventures, the offers a similar blend of adventure, fantasy, and humor an accomplished first novel made all the more remarkable considering it was written when Adornetto was thirteen. "Magpies for The Shadow Thief" "The Lampo Circus "has great charm not because it has been written by such a young person but because it actually has great charm. "Sunday Age (Melbourne, AU) for The Lampo Circus""
Alexandra Adornetto was only fourteen when she published her first book, The Shadow Thief, in Australia. 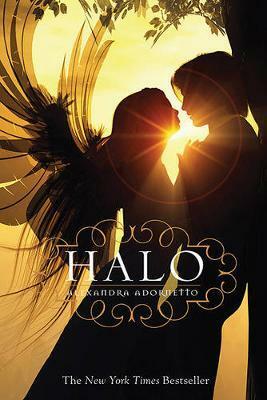 Halo was her U.S. debut and debuted in Fall 2010 on The New York Times bestseller list a week after it was published. It has been published in over twenty countries. The daughter of two English teachers, she admits to being a compulsive book buyer who has run out of shelf space, and now stacks her reading "in wobbly piles on my bedroom floor." Originally from Melbourne, Australia, Ally is now a college student in the U.S.